Neurodegenerative diseases such as Alzheimer’s disease (AD), Parkinson’s disease (PD), Huntington’s disease (HD) and Amyotrophic Lateral Sclerosis (ALS) are devastating and affect an increasing number of individuals in the ageing population. Theses diseases are caused by the progressive dysfunction and death of specific nerve cells in selective regions of the brain due to the accumulation of specific proteins of aberrant shape. The disease-causing proteins are expressed throughout life but neurodegenerative diseases are mostly late-onset. This suggests that the different disease-causing proteins gradually become detrimental over time. While it is now well established that misfolded proteins cause distinct neurodegenerative diseases, why they accumulate remains largely unclear. 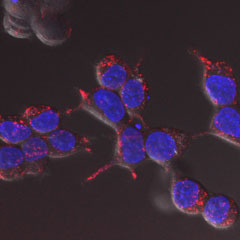 Cells normally strive to ensure that proteins get correctly folded and indeed all cells have powerful and sophisticated protein quality control systems that very efficiently handle potentially harmful proteins for decades. However, the protein quality control mechanisms seem to gradually fail with age, leading to the accumulation of misfolded proteins with the resulting catastrophic consequences for cells and organisms. My long-term goal is to understand the mechanisms that govern the deposition of misfolding-prone proteins, why they persist in aged cells and to identify strategies that could reduce the burden of misfolded proteins for cells and organisms. We have made some progress towards this goal and contributed to our understanding of the mechanisms governing aggregation of disease-related proteins. 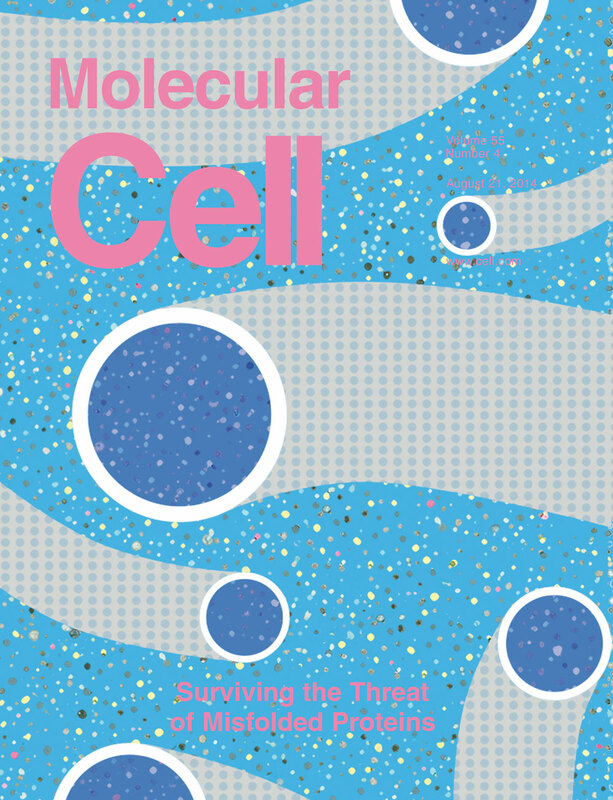 Moreover, we have identified potent strategies to rescue cell survival under protein misfolding stress, a condition underlying many diseases. The work of my lab focuses on fundamental cell biological processes with the view that some of our discoveries will benefit human health. Decoding the selectivity of eIF2α holophosphatases and PPP1R15A inhibitors. Nat Struct Mol Biol. 24(9): 708–716. An evolutionarily conserved pathway controls proteasome homeostasis. Nature, doi: 10.1038/nature18943. [Epub ahead of print]. Preventing proteostasis diseases by selective inhibition of a phosphatase regulatory subunit. Editor’s Choice. Science Signaling. (2015). 8(372),ec96-ec96. Research Highlights. Nat. Chem. Biol. (2015). 11(6), 380–380. Research Highlights. Nat. Rev. Mol. Cell. Biol. (2015). 16(6), 328–328. Research Highlights. Nature Reviews Drug Discovery. (2015). 14(386). Editor’s Choice. Science. (2014). 345. Research Highlights. Nat. Rev. Mol. Cell. Biol. (2014). 15. 562-563. Failure of amino acid homeostasis causes cell death following proteasome inhibition. Selective inhibition of a regulatory subunit of protein phosphatase 1 restores proteostasis. Comment in Science. 2011 Apr 1;332(6025):44-5. Prion-like propagation of mutant superoxide dismutase-1 misfolding in neuronal cells. Proc Natl Acad Sci U.S.A. 108: 3548-3553.